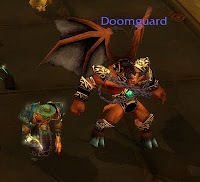 Last year, I posted an article about those rarely used minions, the doomguard and infernal. 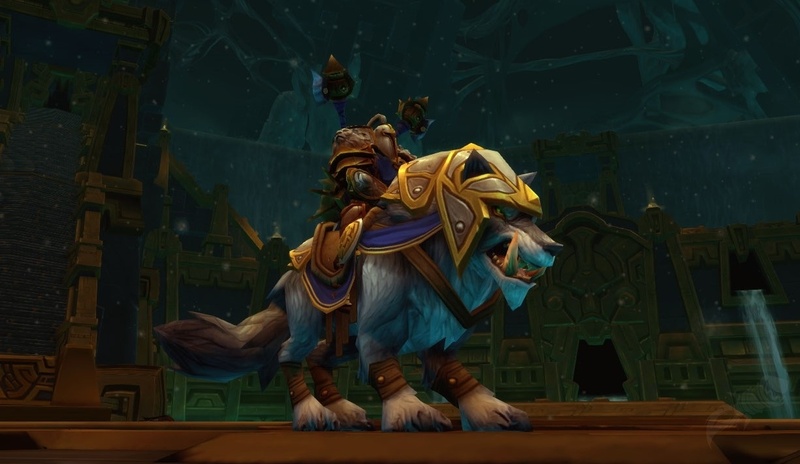 Looking forward to Cataclysm, these dps monsters are going to get a lot more play, at least for some specs. As never played a Demo lock, I have hardly seen these two minions. CoD is one of those curses, mostly used in raiding, and until very recently, I was only pugging raids. When I did spawn a doomguard, it was totally a surprise and I didn't even enslave it. Do Demo locks have another means to summon one of them? The infernal actually saw more play. I liked to use it on the final two phases of the Black Knight. The AOE was wonderful of mopping up the scourge adds and typically the fight would end just as the infernal popped. In Cataclysm, that (ALL) changes. These two minions are now summon-able, no reagents necessary. Click, fire, new pet. Better yet, they don't override your existing pet, so you can have both! I was running an imp and doomguard in parts of Mt. Hyjal last night. Drawback? They're not (currently) destro friendly. The Doomguard will assist you by attacking the target which is afflicted by your Bane of Doom or Bane of Agony spell. I am not currently playing Affliction, so I don't have Bane of Agony buffed. I suppose I could put 2 points into Doom and Gloom (outside my current 0/8/31). In fact, I have been using Bane of Havoc against my primary target, but I guess it doesn't need to.. I could bind it to my /focus macro and put BoH on them. Ooo! 15% dmg on someone I just looked at momentarily. BRB, I gotta go find that 'lock trainer again. (get's busy changing around spell rotation again) "ooo the possibilities abound"
Raiding, start of boss fight.. should be off CD before next boss.